So, today’s ride was a little interesting. Before I set out, I pumped up my tyres. I couldn’t be bothered to get them to the pressure I normally ride, which is about 100, instead I put 90psi into each. I set out on my ride, and I thought I took it easy. It certainly wasn’t pushed, it was just a nice easy ride. However, getting a rather nice surprise when I finished and looked at my stats 8 personal bests, and a new best time for 20km. All I can think of, is that tyre pressure heavily influenced the rolling resistance of my wheels. I remember thinking one particular segment I have issues with, appeared to be stupidly easy, and I never went out of my way to beat any personal bests, it just happened. Now, doing some research on this, I found out that on buttery smooth roads, higher pressures are best, as less tyre will be deformed to the road surface, so should have less rolling resistance. 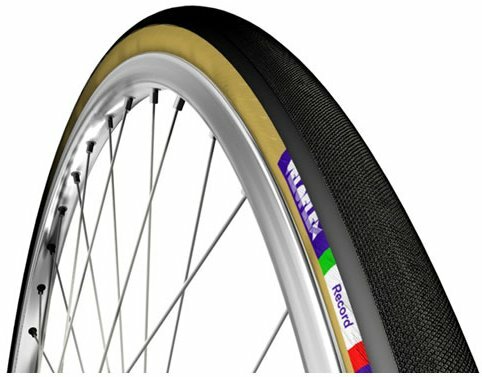 On rough surfaces, such as the worn potholed rough roads I was riding on, a tire at lower pressure is able to absorb more of the bumps than a tire at higher pressure, with less deflection of the bike and its rider. This is the same “sprung vs. un-sprung weight” argument that demonstrates why suspension makes a bicycle faster on rough terrain — it takes less energy to keep the bike rolling if only a small amount of weight is lifted (like a small section of the tire) than if the entire bike and rider is lifted by the bump. So, from here on, I’m running at 90 psi..
As I generally ride solo, I don’t get much chance to draft other riders to reap the benefits. However, yesterday I did. A rider was going at a good pace down the cycle path, and there was little point in passing. So I stuck behind and took advantage of his hard work. And got a new PB for that section in the process. I wasn’t that close to get the full benefit, but it was noticeable the less effort I was having to put in. So recently I have been trying not to ride less than 20 miles per ride. Its worked well so far. I can normally get to about 25 miles before fatigue becomes an issue, and its just a case of getting myself over that hill. One of my new favourite long routes is along to Wetherby, the road is an interesting road, and really not to busy with most people taking the main road. On this route though, it really did hit hard on the way back. Having not had anything to eat for the day, my energy had dropped to 0, and I was running on empty all the way back. Really not a nice feeling. I hit back in Harrogate, almost in the rush hour, and it never ceases to amaze me, that people are taking so long to drive the length of Skipton Road. They all complain about traffic, well, no, they cant complain about traffic, when they are traffic. I ride by on my bike, and get the whole road done in half the time. More people should realise, that the Traffic situation, is entirely of their own making, and they could, quite possibly cure, or in the very least help alleviate it, by doing their short journeys on foot, or bike. Take this video for instance. The Range Rover that passes me, at the very top of Skipton Road, I beat all the way, and I took the long route round. He passes me just at the end of the Video, as I rejoin Skipton Road.